It is called "Pasimata" or "schiacciata di Pasqua" and takes its name from the rural tradition of preparing, at the end of Lent, many sweets crushing dozens of eggs. It is a sweet leavened, flavored with anise seeds, with a long and laborious preparation that, depending on the quantity of dough, can last even two or three days. In the original version it is a normal bread that over time has been softened by the presence of lard and sugar. The Garfagnina version includes the addition of sultanas. The smash is a ritual bread which once had a precise religious meaning. A bread to be shared among all, to each his part, in the meaning of fraternal commonality. For this reason in all the parishes, by the confraternities, the Pasimata was distributed in the church where on Holy Saturday preceding Easter it was blessed by the parish priests together with the eggs. For those who want to prepare it at home, here is the recipe by Andrea Crudeli, chef of the Locanda Alla Posta, one of the restaurants located within the Ciocco Tenuta and Parco. The Valle del Serchio, in fact, the area of ​​Tuscany that extends from the plain of Lucca to the Garfagnana and in which precisely Il Ciocco is located, celebrates the Easter holidays with a rich program of events, according to the best traditions handed down for years. The day before the lievitino is prepared by dissolving the yeast in a glass of warm water and mixing it with 100/150 grams of flour and leaving it to rest at room temperature covered with a rag for a whole day. 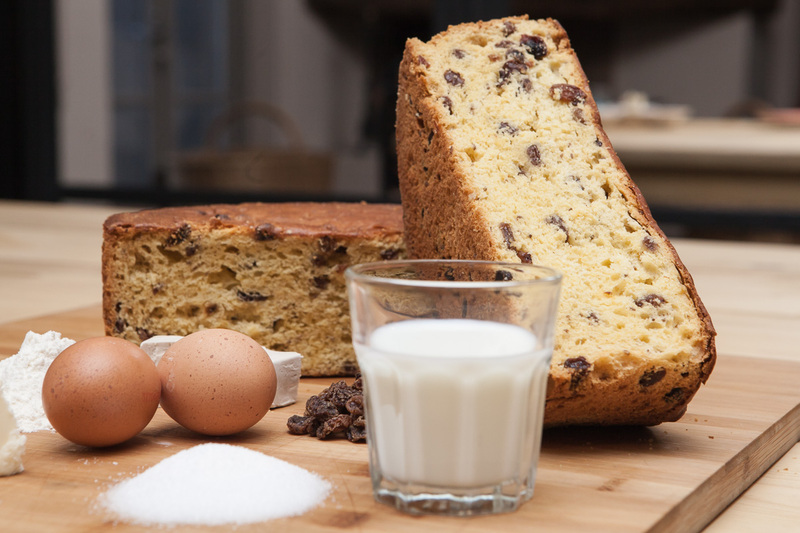 The next day, first of all the eggs and the remaining flour are divided into three parts, the sultanas are put in soaking lukewarm water to make it softer and the butter is worked in ointment or almost melted. It then begins to incorporate 1 egg with 1/3 of flour into the lievitino, mixing it all energetically and then let it rest and rise again for about 2 hours at room temperature and always covered. Then follow the same procedure a second time, letting the mixture rest for another 2 hours, and finally, at the third time, the melted butter, sugar, soaked raisins and anise are incorporated. Spread it all on a baking sheet and let it rest again for 2 hours. At this point it is baked in the oven at 180 degrees for about an hour.